This book looks into the spiritual background of what really happens to our loved ones - or anybody else - when they leave earthly life behind. 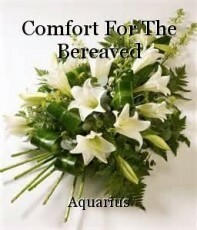 It is dedicated to comforting the bereaved and it makes no difference whether it is for a human being or beloved animal friends. Does Nobody Ever Come Back From The Dead? Do Suicides Really Go To Hell?